I love his concept of “fundraiser fatigue”! He says that we get tired of saying the same thing over and over so we just stop. And then blame the lack of donations on "donor fatigue." Be honest: do you get sick and tired of saying the same thing over, and over, and over? Do you ever worry that you’re telling someone a story that they’ve already heard? It's o.k. All great fundraisers have. Donor’s universes do not revolve around your nonprofit. So even if you’ve said something over and over, you’re still may not be breaking through. The ad guru David Ogilvy is supposed to have said that it takes a person hearing the same message 7 times before they take action. Another reason we get bored with our stories is that we fear they’re not connecting with donors. And with the average nonprofit only retaining 30% - 40% of its donors, we’re right. Our stories aren’t connecting. How do we fix that? What got you started giving to us? When did we first get on your radar screen? When you think of your support over the years, what impact are you most proud of helping create? What do you think [insert your nonprofit’s name here] does best? Ask these questions out of sincere gratitude. You’re intent is not to interrogate your donors! Fundraising is a tremendously rewarding career. But it’s never supposed to be about your enjoyment. 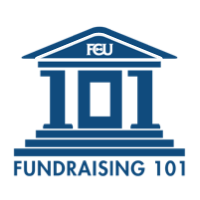 Fundraising is about raising money by connecting donors with your nonprofit’s impact. Get used to feeling you’re saying the same thing over, and over. And rest in the fact that only people you see daily will know how repetitive you’re being. You'll find you reconnect with your passion ask you ask donors about their passion. Do these, and you’ll thwart both donor fatigue and fundraiser fatigue! And you’ll be able to get on with your effective fundraising! First, asking your donors about why they support you is not only a way to identify the stories that will connect, it will also help you find new stories to tell. Second, reconnecting with the mission is a great way to renew your enthusiasm, so talk to the people your charity supports. Students, scientists, patients, library patrons--every one of them has their own story about what your charity has done for them. Absolutely. I teach the concept of continually "harvesting" stories. These are good practices!